Protecting the environment has been a Paper Mart priority for decades. 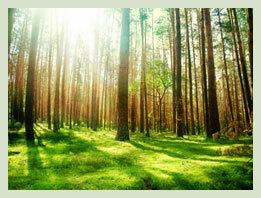 The company, which is FSC® certified, is committed to a greener tomorrow. In its offices, on its shelves, throughout the warehouse facility, and as part of its distribution process, Paper Mart strategically and continually takes steps in minimizing its impact on the environment. Paper Mart is FSC® certified (FSC# SGSNA-COC-003366). We have been accessed and certified as meeting the requirements of Chain of Custody for paper products derived from well managed forests. We are an industry leader in recycling practices, with a growing list of green certifications. We have strategically aligned ourselves with several key mills that share our same concern. Together we are committed to a greener tomorrow. We have embraced the fundamental aspect of environmental sustainability; particularly in our product choices by offering environmentally responsible products. Paper Mart stocks more than 5,000 earth-friendly products and envelopes in-house for next day delivery. Paper Mart operates a green fleet of delivery vehicles. Paper Mart has updated its fleet by administering a system utilizing the latest development in emission control technologies, a Selective Catalytic Reduction (SCR) system. The purpose of the SCR system is to reduce the levels of NOx (oxides of nitrogen emitted from engines) that are harmful to the environment and subsequently to our health. In order to assist our customers on how to be more responsible consumers, we have established our own FSC® 101 course which focuses on the education of ‘Responsible Products and Practices’. Contact Us to learn more. Each of these initiatives facilitates our contribution in moving the environment forward and—most importantly—our impact on the planet.